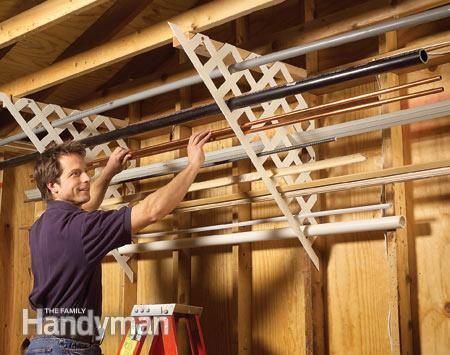 Use plastic lattice to store those leftover pieces of pipe and trim. This easy project only requires scrap lattice and screws– go check out the details and instructions here. No matter how big your garage, it just seems like there is never enough space! This is where using the air space above your vehicles comes in handy for holiday decorations, sports equipment, or other seasonal items that only need to be used once or twice a year. Check out the full instructions and details for this DIY suspended shelving project here. Don’t have the space for a mudroom? How about the garage!? Dedicate a small space next to the entryway to hang coats, backpacks, umbrellas, and hats. 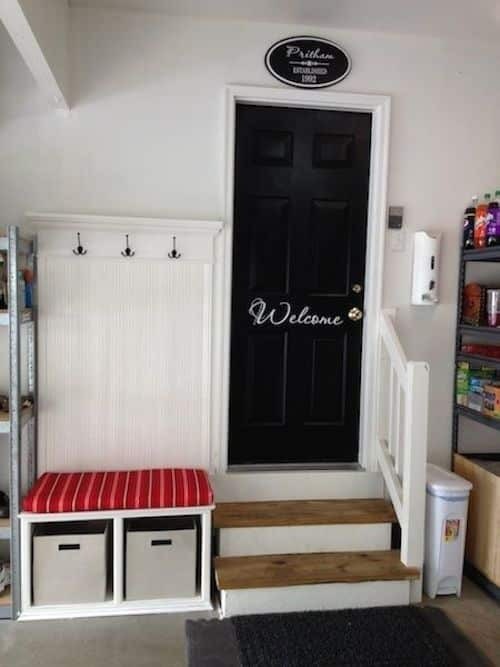 While you’re at it, put in a little bench with basket storage or a shoe cubby, and you’re set!